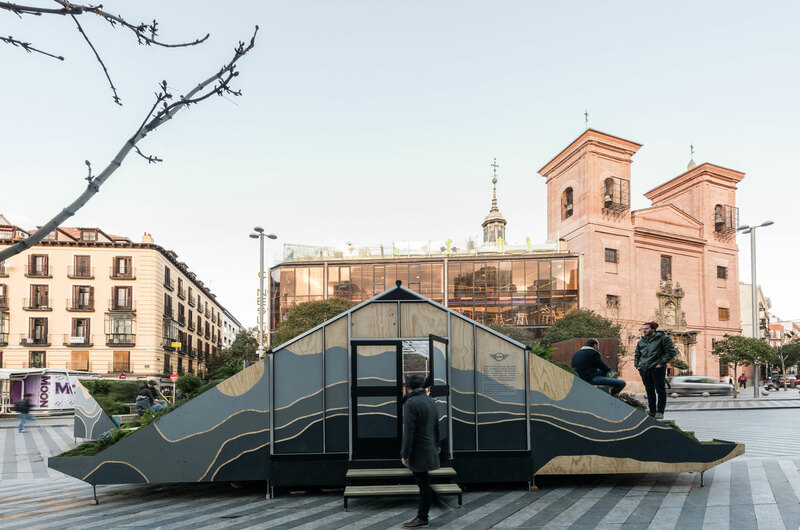 Mountain on the Moon is designed by Enorme Studio for MINI Hub in Madrid as a portable office to rethink and design the future of cities in a collaborative, trans-disciplinary and intergenerational way. Every day we all become increasingly aware of the need to improve our habits and the collective awareness about our environment, although nonetheless our cities—gigantic and vast—are often far from reflecting this change of paradigm. 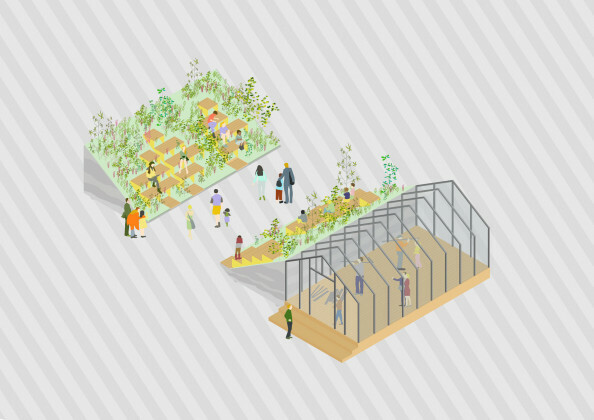 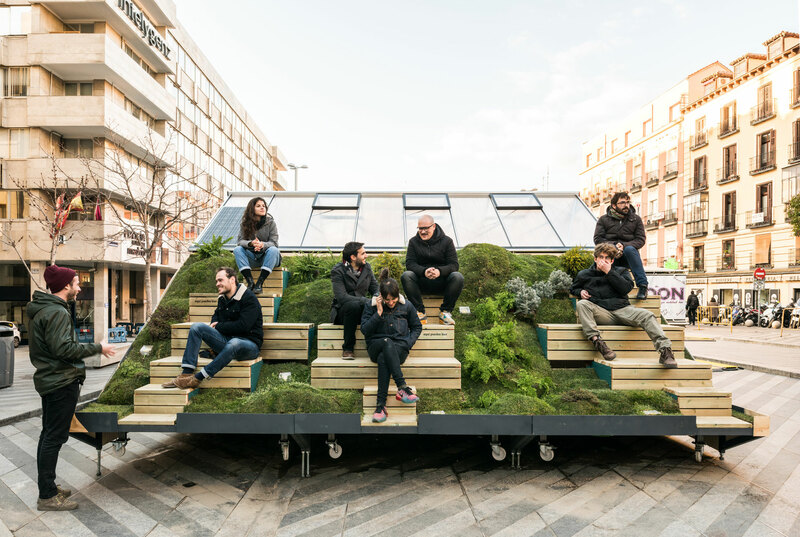 It is urgent that, as citizens we contribute, along with different players like designers, public institutions, brands… and to start to collectively rethink new collective visions for our cities, which can regenerate the urban landscape in a way cohesive with people and their environment. 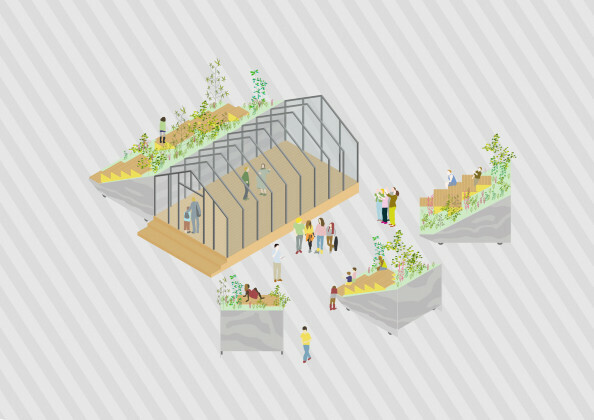 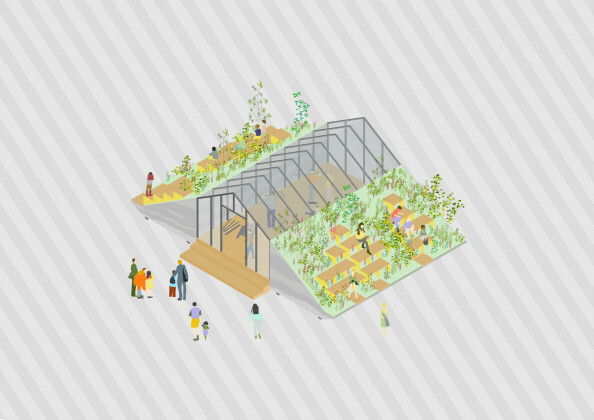 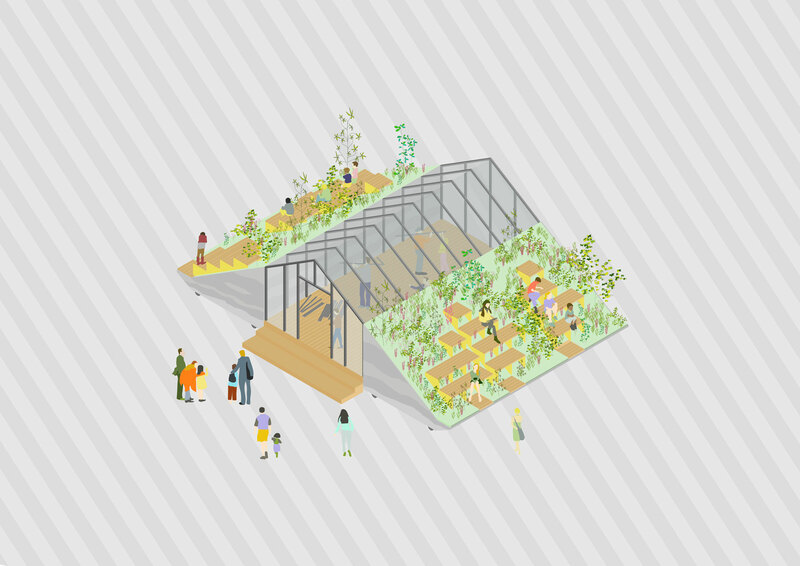 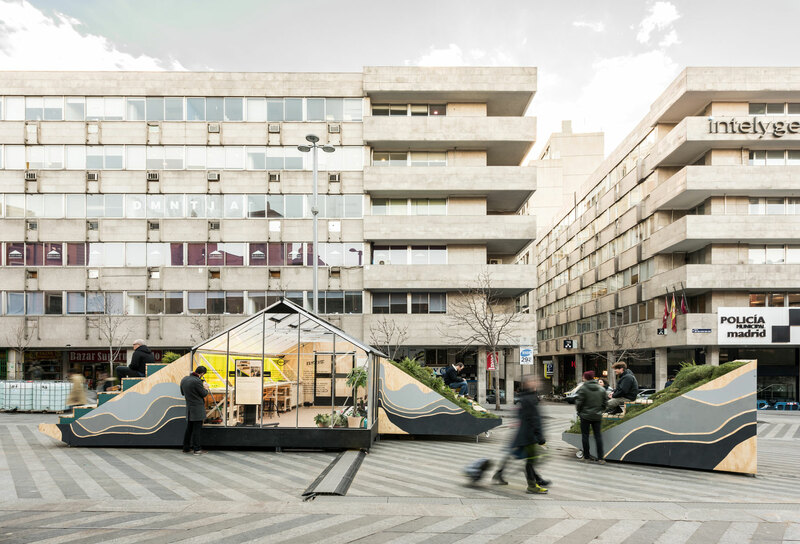 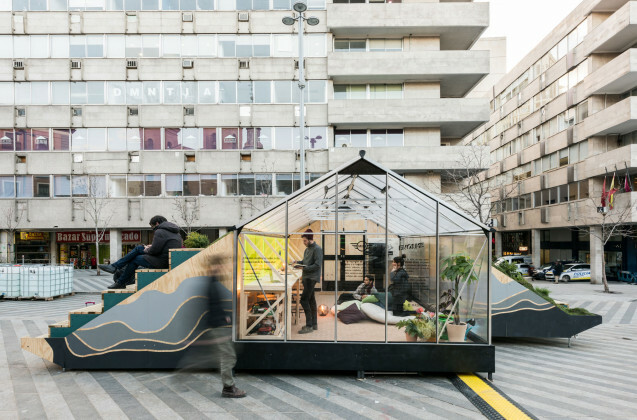 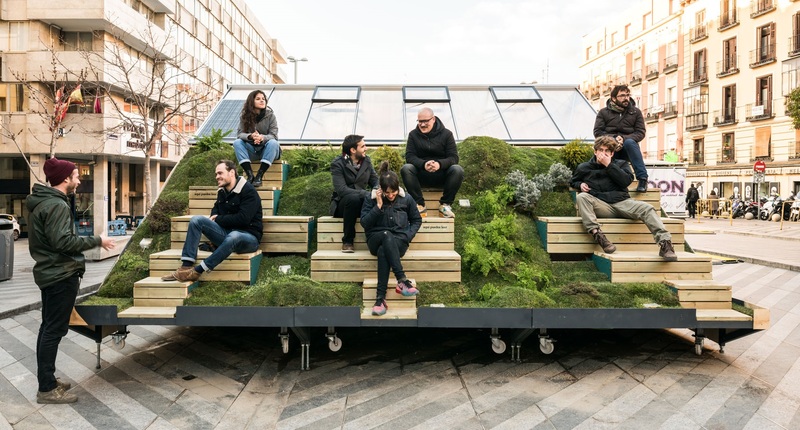 For this reason, MINI and Enorme Studio, a young design firm specialising in the public space and participative dynamics is making an original proposal, with an installation situated in the mythical Plaza Santa María Soledad Torres Acosta in Madrid. 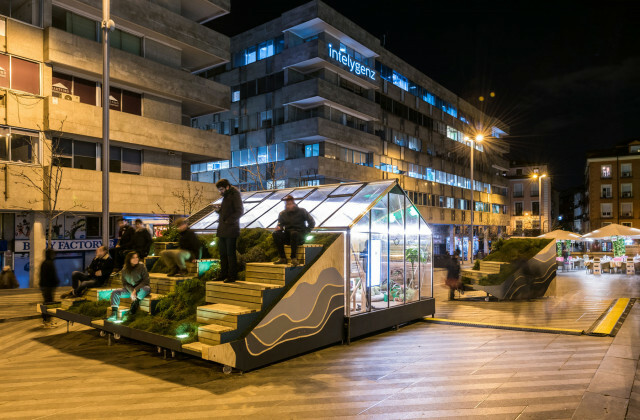 This installation, in addition to being a meeting point for design and the city, will concern itself with the use of renewable energies. 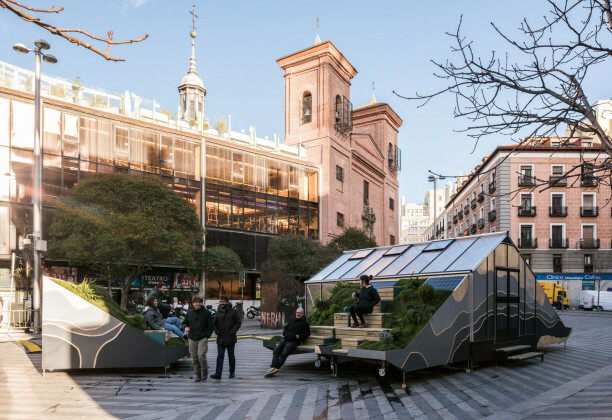 It will have USB charging points and reading points lit by solar energy, as well as the possibility to charge devices with the kinetic energy generated by movement. 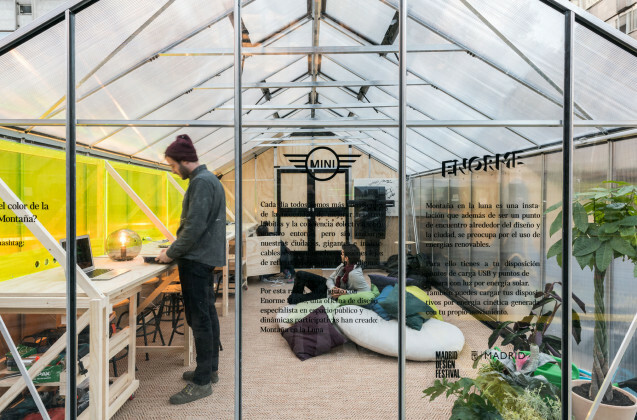 This new habitable and efficient equipment will try to work on the most pressing challenges of daily life. 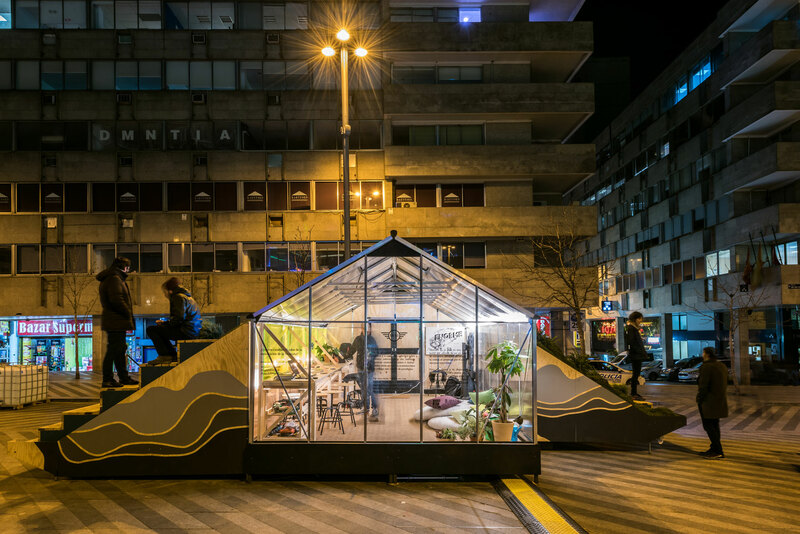 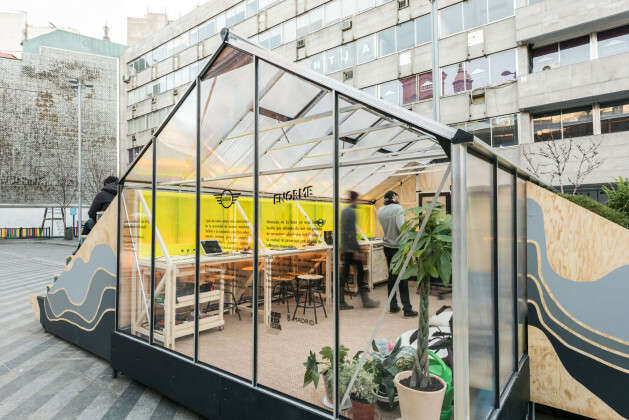 For over a year MINI has been in the Malasaña neighbourhood with its space open to creativity, the MINI Hub, which is now opening up to the outside with this installation. The inside will be invaded by meetings between designers who are rethinking new ways of making a city: city furniture workshops entitled Bench a Day, which will develop new ideas for urban benches; talks on interactive urban stages; new public space laboratories; and talks-debates on how cities of the future will be. 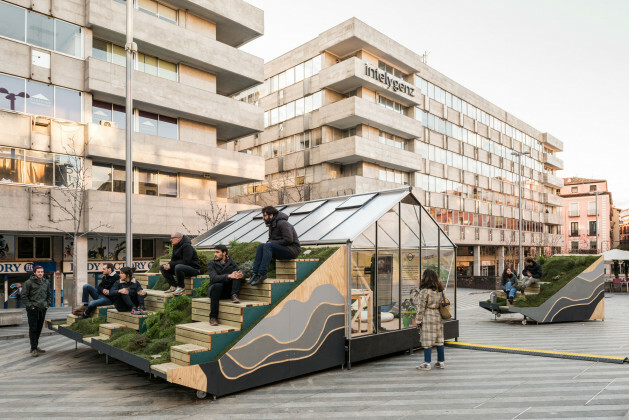 All these activities will handle urban design and the city as their main topic to work on in a collaborative, trans-disciplinary and intergenerational way. Montaña en la Luna represents an opportunity to experiment based on the idea of a designer office and portable architecture, on the street and close to users, with which any and all new proposals for cities of the future must be co-designed. 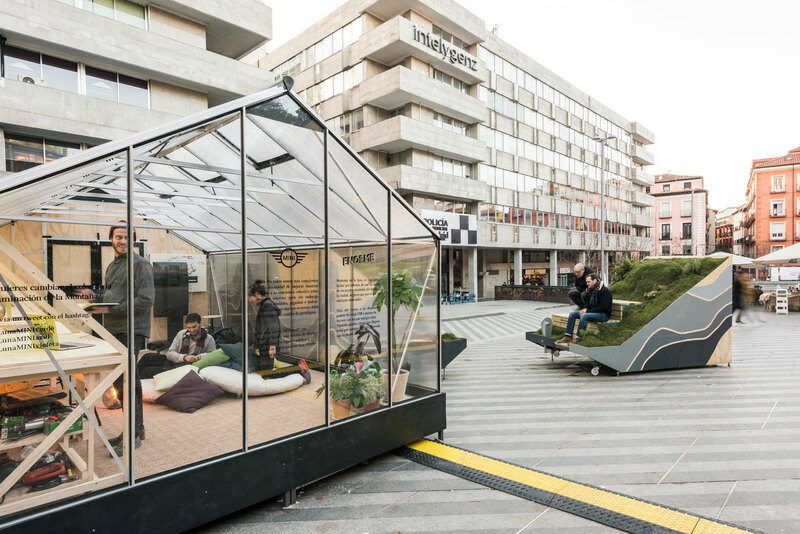 This new endeavour by MINI is framed within its objective of improving urban life, contributing to a rational use of resources and maximising the motto "Creative Use of Space" inherent to the brand’s DNA.